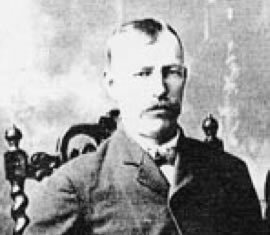 Officer Holindrake was killed by the accidental discharge of his own pistol. Shortly after 1:00 a.m., as part of their patrol duties, the 43-year-old victim and another officer stopped at City Hall to make a routine check on the furnace. While his partner attended to the furnace, Officer Holindrake apparently began to examine his pistol. A member of the police department for less than a week, the victim was unfamiliar with his new .38-caliber double-action Colt revolver. The weapon discharged and the bullet struck him in the face, killing him instantly. Officer Holindrake was married and the father of three children. His is buried in Glenwood Cemetery, Park City. His bronze name plaque is sponsored by the Park City Police Department.